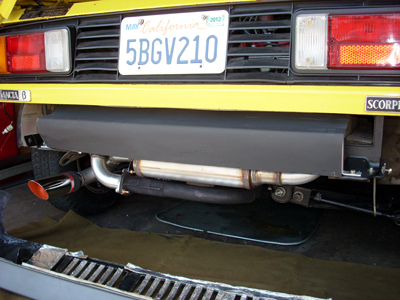 Fortunately the car had an original catalyst and muffler system so it was only necessary tidy-up the hardware and clean and paint the components. A chrome tip was welded on for appearance. A heat shield was made to protect the adjacent halfshaft boot. The 02 sensor for the wideband 02 sensor system was installed at this time. 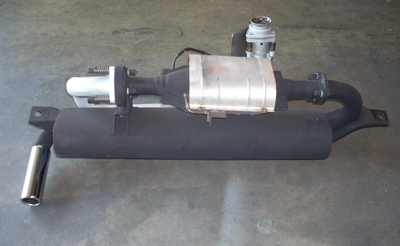 This system is used to monitor the combustion tune of the engine and adjust the mixture as necessary. 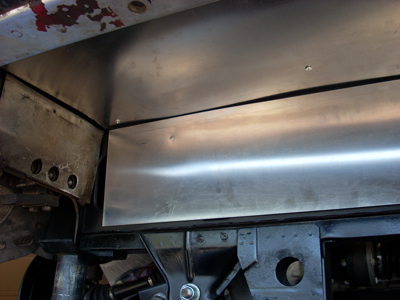 While the system was out, I added some heat shielding to surrounding body panels. 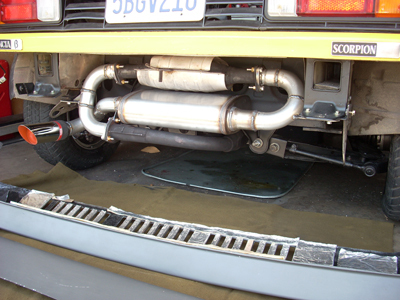 As part of the plan to improve performance, a new exhaust system was made. 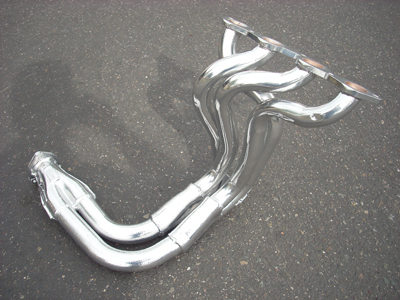 The system was based on an Ansa header which I had ceramic coated for appearance and to help reduce engine compartment temperature. 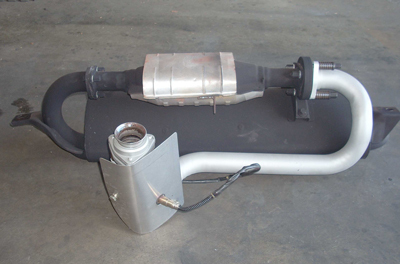 On the new system the catalyist was retained and a new muffler from Magnaflow was incorportated. Bungs for the 02 sensors were also welded into the system. I also made a heat shield to protect the bumper. 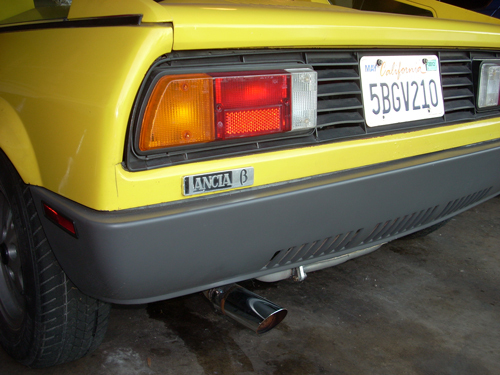 Note the heat insulation material I also applied to the inside of the bumper.